The most widely known and extensively studied aspect of carbon disulphide toxicity is its neurological effects. The nervous system is one of the main targets of carbon disulphide toxicity. Neurotoxicity manifests as psychological and behavioural changes followed by neurological changes, both in the brain and peripheral nerves (WHO, 1979). In observing workers in viscose rayon factories Vigliani (1954) concluded that chronic exposure to carbon disulphide may result in peripheral neuropathy characterised by a glove and stocking sensory impairment. Absence or a decrease of tendon reflexes, and muscle weakness was also observed. Polyneuropathy of workers in the viscose rayon industry has been studied by other authors (Alpers and Lewey, 1940 Vasilescu, 1976 Aaserud et al., 1990 Chu et al., 1995 Klemmer and Harris, 2000). Differences in this metabolism phenotype were first identified in the late 1940s when patients who converted to a positive tuberculin test were routinely treated with isoniazid. 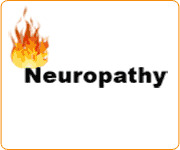 A high incidence of peripheral neuropathy was found among those taking isoniazid. By giving isoniazid and measuring plasma levels 6 hours later (Figure 4.1), individuals could be phenotyped as slow acetylators (r, clearing the drug slowly) or rapid acetylators (R, clearing the drug quickly). The slow phenotype is inherited as an autosomal recessive trait. The frequency of the r allele was found to be about 0.72 in the United States, meaning that about one in every two individuals (using the Hardy-Weinberg equation, q2 0.72 x 0.72 0.518) is homozygous for r r and thus shows the slow acetylator trait.